Medicare is a federally sponsored medical insurance program offered by the government to U.S. citizens that are 65 years or older. It is also provided to those that are under 65, but have a qualifying disability. If you are 65 and receiving Social Security benefits, you are eligible for Medicare. Disabled persons under the age of 65 must wait 24 months after receiving Social Security Disability benefits to qualify for Medicare. Citizens that have certain chronic and terminal illnesses qualify for Medicare immediately. For example, amyotrophic lateral sclerosis (ALS, or Lou Gehrig’s disease) and end-stage renal disease (ESRD) are two qualifying illnesses that warrant immediate Medicare eligibility. Approximately three months before you turn 65, you will receive a Medicare card in the mail. Part A covers inpatient hospital services, long-term care facilities, skilled nursing facilities (SNFs), home healthcare, hospice care and other therapies and medical equipment. Part B primarily covers doctor visits, tests, preventive care, outpatient services and other services not covered under Part A. Part C is also known as the Medicare Advantage Plan. Private insurance companies approved by Medicare provide medical coverage to those eligible for Original Medicare (Parts A and B). A Medicare Advantage (MA) plan is a private insurance alternative to Original Medicare. When you choose an MA Plan, your Part A coverage is provided through your MA Plan. Your Part B coverage will also be provided through your MA Plan. Medicare Advantage is important because it offers Medicare beneficiaries a choice in how they receive their healthcare. The most common MA plans are health maintenance organizations (HMOs). With the HMO option, the main premise is that by utilizing a primary physician, and through preventive care, the Medicare beneficiary will have less need for medical care. And, this will reduce their costs. The PPO option is significantly different than a HMO. This plan allows beneficiaries the choice to choose between in-network and out-of-network providers. Although choosing out-of-network providers results in additional expense, the beneficiary can make that choice. The PPO will cover all medically necessary care. This is regardless of whether the provider is within or outside the network. However, the care will generally cost more. There are both regional and national PPO plans. The regional plan is generally limited to your geographic location and surrounding areas. In contrast, the national plan offers greater flexibility. Original Medicare generally pays an MA plan a fixed rate per Medicare beneficiary. This is not dependent on the type or amount of care the beneficiary actually requires. Fortunately, in 2003, Congress decided to increase the amount paid to those private insurance companies that provide Medicare Advantage. This has been an incentive for more private insurance companies to offer MA plans. HMOs are required by the government to provide all of the coverages that Original Medicare provides. They must also provide some services that are above and beyond the scope of Original Medicare. When you join an MA plan, you are still in the Medicare program. However, your medical services are covered through this plan, and not Original Medicare. MA Plans are convenient for some, because you get all of your medical coverage from one source. In some cases, the premium for an MA plan may be more cost-effective than if you pay for Medigap and Part C coverage. Oftentimes, you can receive some services not provided by Original Medicare, such as: vision, dental and wellness coverage. Coverage by Medicare Part C is generally limited to the geographic region you live in. So, if you travel ,there may be some coverage issues. As with any other health insurance plan, you must do your homework and decide if an MA Plan is for you. Many people are extremely happy with these plans, though. It is important to know that although you have chosen a Medicare Part C plan, you are still in the Medicare program. Thus, you still have rights and legal protections. 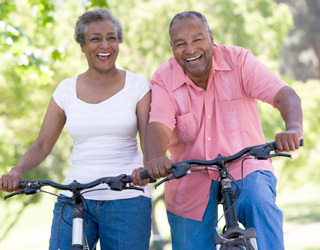 Your Medicare Advantage plan still provides complete Part A and Part B coverage. You can only join or change a plan at one time during the year. Most plans require that you enroll for one year. Those people with pre-existing conditions are still eligible to join an MA plan. The exception is ESRD; if you have this condition, you may not join a MA plan. It is always a good idea to check with your plan’s customer service or administration to find out if a certain service is covered. They should also be able to tell you what your financial responsibility will be. It is essential that you follow all of your plan’s rules. This will help you to avoid problems with paying unnecessary costs and having coverage denied. As a consumer, you must take the time to educate yourself fully on the MA plan. This is your health coverage. Staying within the plan’s network is important; however, if you make a decision to go outside the network, make an informed decision. Please keep in mind, providers can choose to leave the network at any time during the plan year. Additionally, your MA plan can choose to change providers within the network at any time during the year. So, it is important to stay abreast of whatever changes are going on. Medicare Advantage plans are limited, in that they must follow certain rules. For instance, they cannot charge more for certain services that are offered by Original Medicare. Chemotherapy, dialysis and skilled nursing facility (SNF) care must be charged at the same rate as Original Medicare. An additional advantage is that MA Plans have a limit in regard to your out-of-pocket expenses. Once you reach this number, you will not have to pay additional expenses. However, your particular MA Plan can choose to leave the program. If this happens, you will need to go back to Original Medicare. Or, you can join another MA plan. It is important not to make a rash decision when choosing a Medicare Advantage Plan. You must weigh the pros and cons of your specific health need to determine if a particular MA is going to work for you. It may be in your best interest to stick with Original Medicare and choose a Medigap plan. You must reach out and find out the information. The information can be complex and confusing, though. So, don’t be afraid to seek out the answers to your questions from Medicare and the private insurance companies that offer MA plans. Remember, you may be stuck with this plan for a year. Choosing a Medicare Advantage plan will bridge the gap between what Original Medicare pays for and the 20 percent you are responsible for. But you just have to choose the plan that will give you the most bang for your buck. If you are considering enrolling in a Medicare Advantage Plan, consider exploring this website, HealthNetwork.com, Here, you’ll find a wide array of MA Plans to explore.